This months special is the following! $99 billed annually incl. 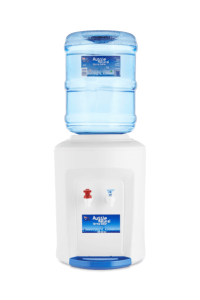 gst for Cool and Cold Water Coolers + Receive 3 x 15L Welcome Aussie Natural Bottles! Businesses will also receive a free cup holder and sleeve of cups! Aussie Natural water coolers are about as competitive as they come PLUS you are dealing with a local WA owned and operated company who knows WA and supports the local community! We work with you to deliver you fresh, natural spring water to your doorstep when you need it. Perfect for the office or home, Aussie Natural’s water coolers and dispensers are easy to use and take up no more than one square foot of floor space. That’s about the same amount of floor space as one bag of shopping! Concerned about spills when refilling your water cooler? Don’t be. 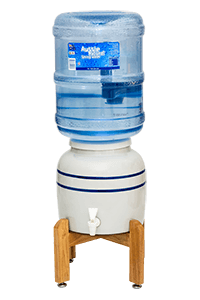 We have developed a system whereby the water bottle is placed directly onto the cooler with the cap still on! No Spills! Rent a water cooler from us at Aussie Natural and you are guaranteed to be looked after in the proper W.A way, and with all water cooler maintenance covered by us free of charge for the life of your rental- why would you go anywhere else? The bottles have been designed to fit perfectly, with easy replacement between empty bottles and your next fresh one. Simply remove the empty bottle, and place the new one on top. No spills, and no toppling. Our products have been designed with our customers in mind. We provide cooling options for your countertop, or freestanding; with a variety of hot, cool, and cold spring water, all sourced from our pristine natural springs in Western Australia’s Darling Ranges. Tea, coffee, soups, and more are now yours to enjoy, with ultimate ease and convenience. 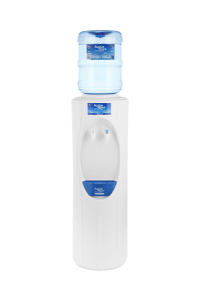 Have your water cooler delivered to your door, by our friendly Aussie Natural team. At Aussie Natural Spring Water, we’re proudly Perth’s premier spring water supplier, providing quality spring water at best prices- whether it’s bottled water, water coolers, water filters, or anything in between, Aussie Natural Spring Water can provide clean, refreshing water to meet a range of needs and requirements, at competitive value that doesn’t cut down on quality.